A man has been sentenced for having Class A drugs at Eastbourne according to a court document. 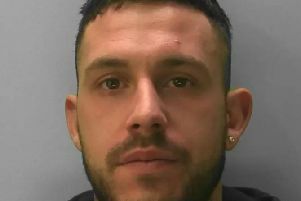 David Zauna, 20 of Orton Goldhay, Peterborough, indicated guilty to pleas to charges of being in possession of quantities of crack cocaine, heroin and cannabis at Eastbourne on June 7 last year, when he appeared before magistrates. He was fined £240 and given a one year conditional discharge.